Mating season coming up soon. 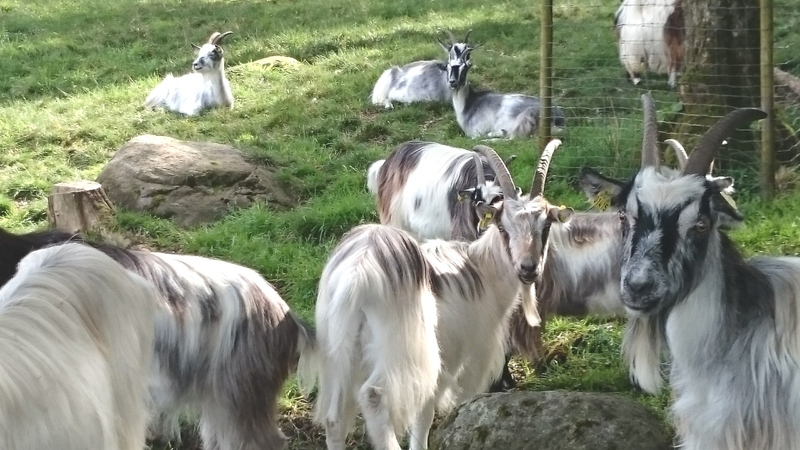 Grazing Capra Science goats during summer time. We're on top of things! 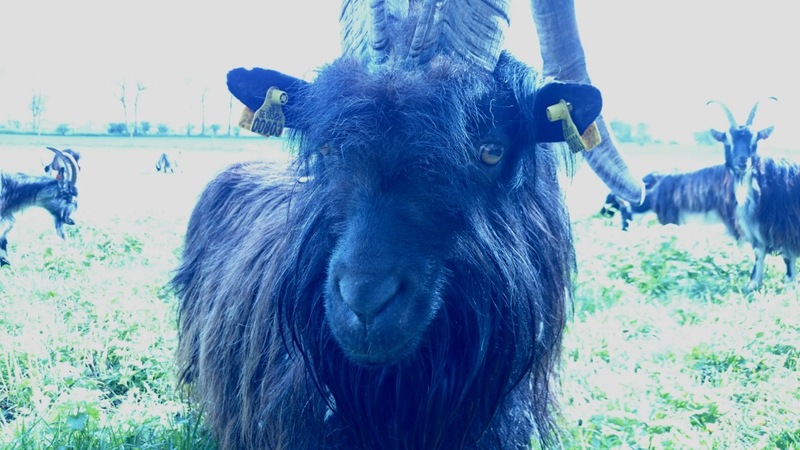 During the Winter season when the fields are frozen, our goats are let inside. Creating the perfect interior that promotes play and reduces stress in a population of animals is always a challenge. Every species has their own unique needs. 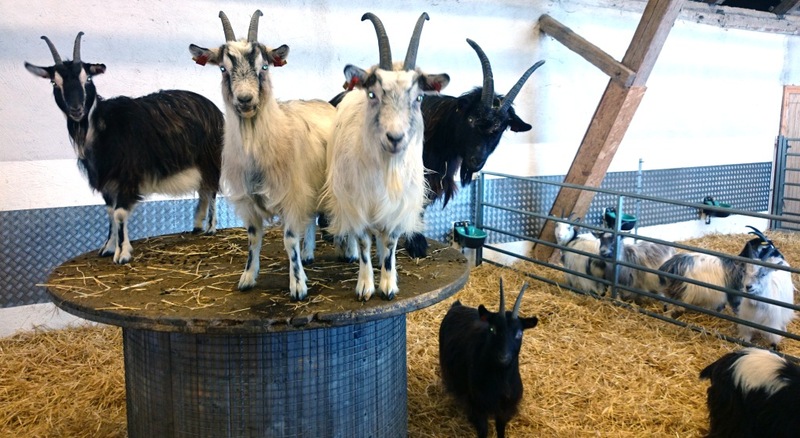 For example, goats like to stand on high points to show their status in the rank. This is why all enclosures have piedistals. This promotes play and keeps the herd in social ballance. They also love to scratch themselves against rough surfaces (see wall panels in pictures). Some may think that these details seem insignificant, however these "small" details promote good health. Ultimately, less stress and good health promotes strong immune responses. During the coldest months of the year the animals are let inside. 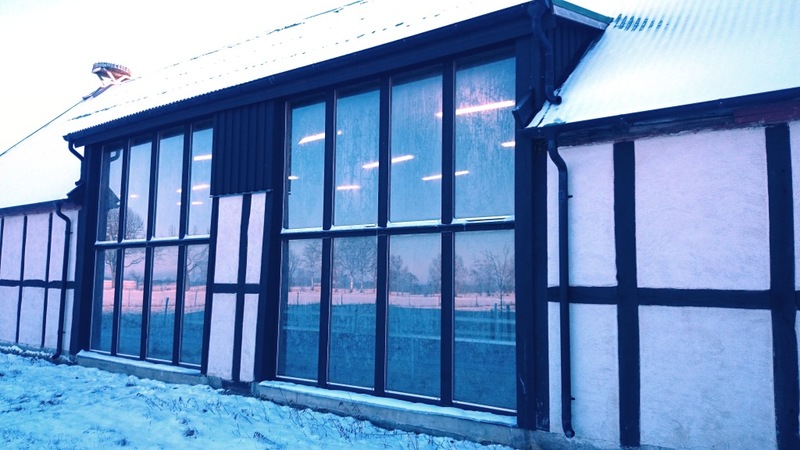 The indoor spacious areas are designed to allow a generous amount of day light into the barn. This enables a natural circadian rhythm and promotes good health. 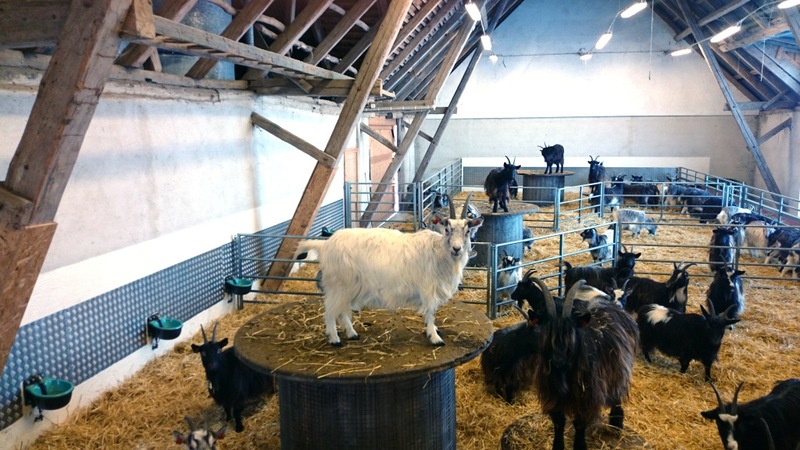 One of Capra Science' barns. Natural day light has a lot of health benefits. The large windows give the animals plenty of natural daylight. 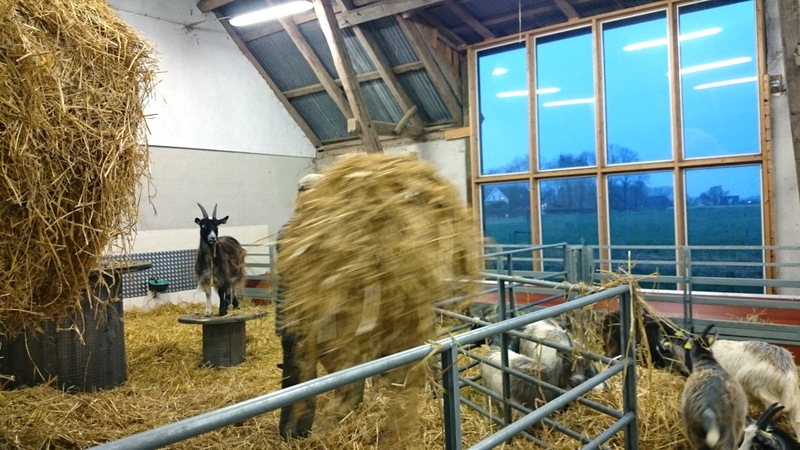 The goats are regularly given fresh straw, which keeps the beds dry and warm. 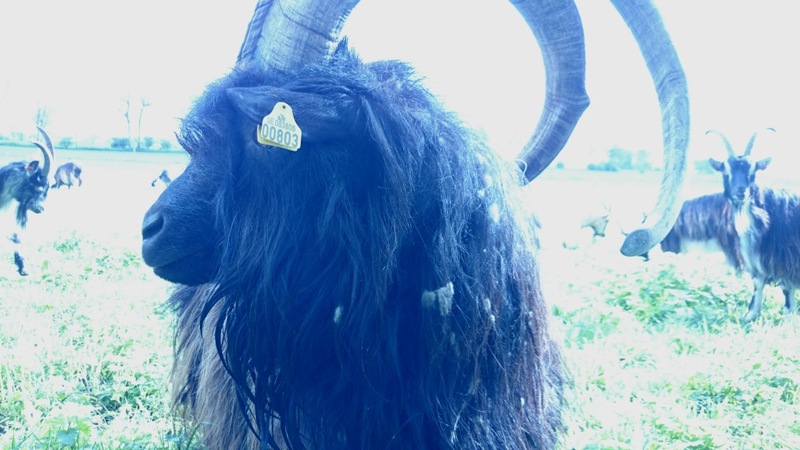 Finally the snow and cold weather has got a grip on the landscape arround the Capra Science Farm. 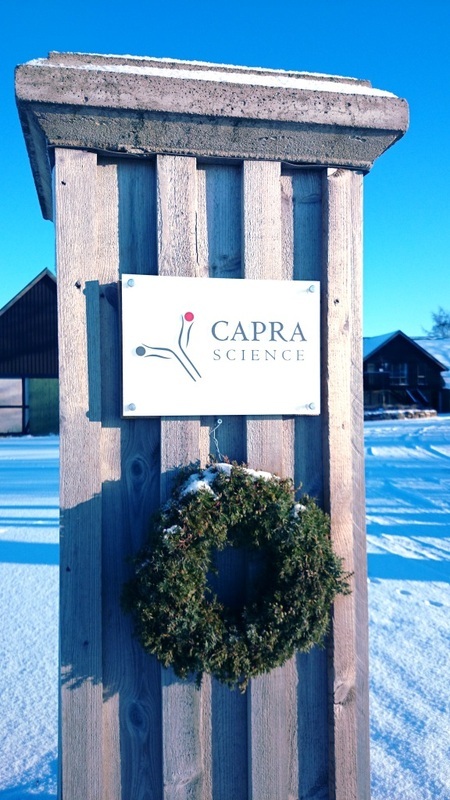 The picture shows one of our gateposts welcoming you to the Capra Science farm and production site. 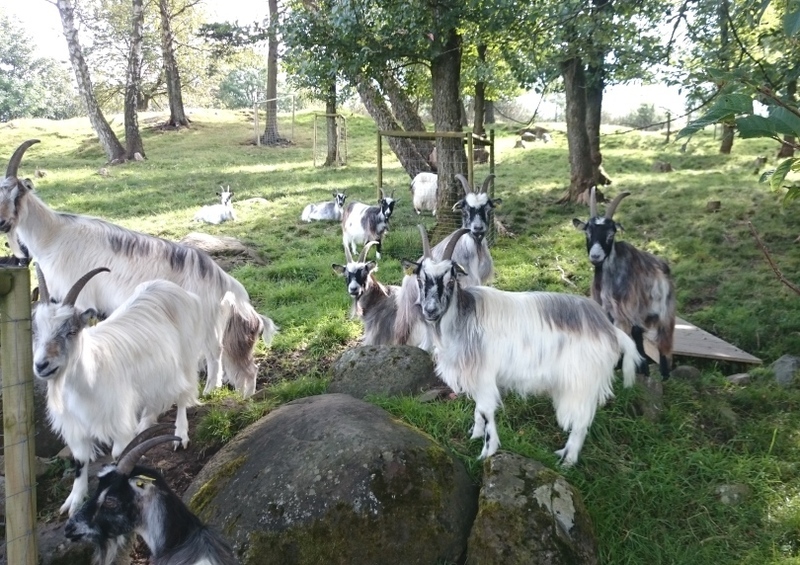 Curious Capra Science goats in the sunset light. 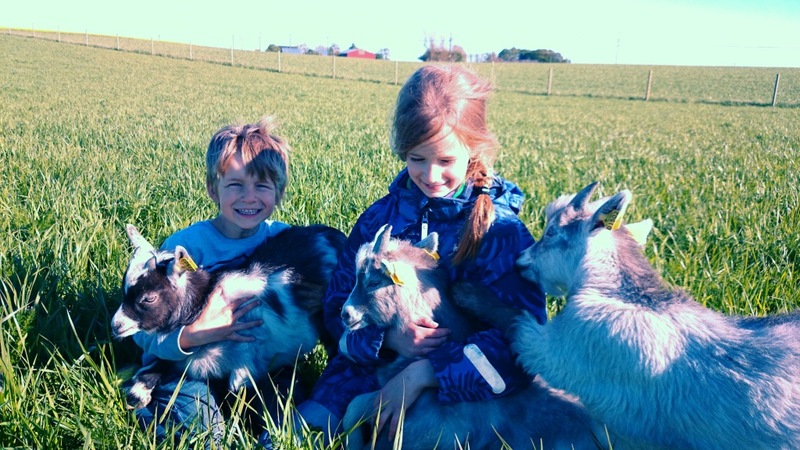 Our environments generate healthy animals with strong and alert immune systems, which in turn creates high yields & good quality of antibodies. Fine, suny weather and the haystacks are molded into bundles of hay. Harvest from 15 haystacks (11-pinnarhässjor) we reached 500 bundles (balar). Good work, everyone.